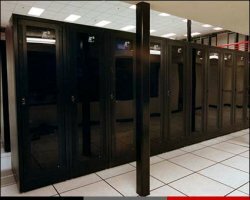 The Web Room Technologies data center located in Phoenix, AZ, provides the technology necessary to keep your mission-critical servers fully operational 24 hours a day, 7 days a week. The custom designed facility provides redundant optical fiber connections through Cox, Qwest, and ELI, in addition to multiple Internet back-bone providers, including UUNET, Qwest, Telia, megapop, flexpop and our own YNP network, making scaling bandwidth faster and much more affordable. 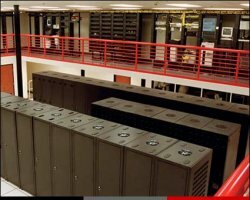 In addition, the world-class data center is custom designed with raised floors, HVAC temperature control systems, redundant power, UPS back-up and power conditioning systems and generators. 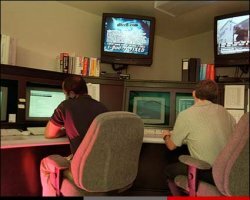 We provide 24/7 physical security; including state-of-the-art smoke detection and fire suppression systems, motion sensors, biometric access controls, as well as video surveillance and security breach alarms. Depending upon equipment needs, clients can choose from Dedicated Servers, Locked Cabinets and Private Data Suites. Our 24/7 on-site systems management team comprised of Engineers and Technicians are on hand to ensure that our data center provides the reliability and salability essential to your business success. Web Room Technologies first data center is located in Phoenix, Ariz., due to the city's protection from extreme climate. This area of the country is void of snow, earthquakes, landslides, and other extreme environmental conditions. In addition, Arizona is home to the world's largest power plant, ensuring a sufficient power supply. Generator backup with 12-hour fuel supply and guaranteed refueling contracts. Centralized monitoring of UPS, PDU, HVAC, temperature, humidity, security, and fire prevention system. Multiple fiber connections ranging from OC-3 to OC-12, with the capability to expand to OC-48 up to OC-192. square footage plans are available for larger clients.